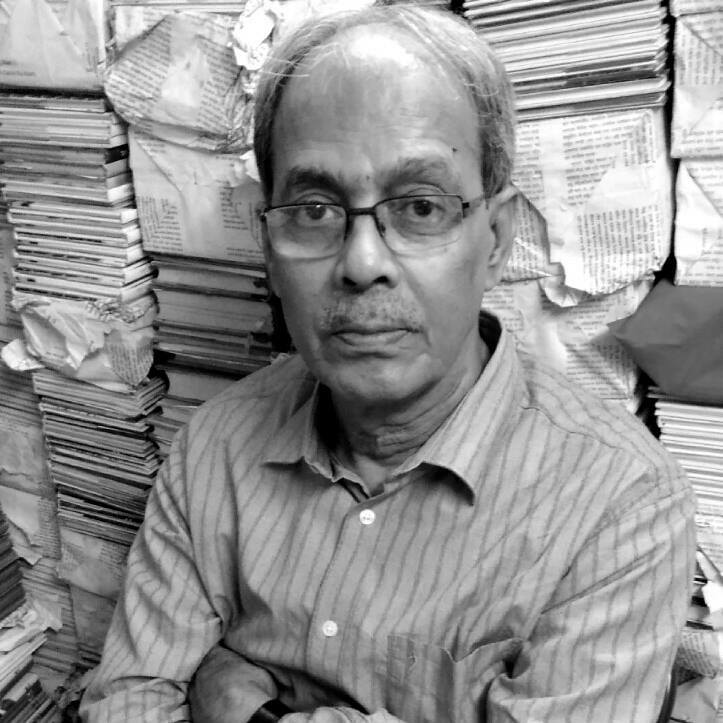 Shankar Chakrabarty belongs to the 70s generation of Bengali poets. He spent many years living outside Bengal in Shillong - a beautiful hill-town in north-eastern India which has a strong resemblance to English countryside. Shankar, a long time friend of Kamal Chakraborty and Barin Ghosal contributed to Kaurab regularly from the journal's early years. Shankar Chakrabarty has a rich body of work both in quantity and quality that brings out the lyric in mellifluous oriental tunes. His poetry, although deeply lyrical, is characterized by a "search element" and has an unusual visual quality about it. "Rain" and "house" are two elements that recur often in his imagery. They spread in thin films over streets, sidewalks and buildings. yet left grip firm on the cell. On this silence, the sky will come crashing in. O' watergod, come back as an water animal in your next life. I keep waiting to greet the unknown dream of an afternoon. You were in love again with the freshly seen land of home-country. You don't seem keen to zip your fly or button your shirt. And deserts it - whose knell in the wind ? Now the rain will begin, you must know. Its silver foot-bells fade out to the far, farther. Watched your spirit melt into rain-fog. What is more eager than deafening laughter ? Water paints on water, a last bleak painting.